Piraña has been closed for renovation for a good few months now, getting a complete overhaul. 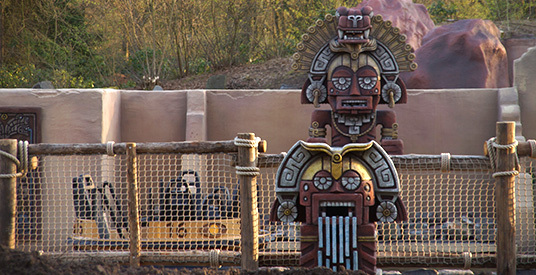 Most recently, some new statues have appeared at the ride, a very noticeable difference! They are more ‘in your face’ colour-wise than the rest of the ride, but they fit in perfectly. The idea (seems to be) that smaller statues control the larger ones, and that the larger ones spit out water when a guest interacts with the small ones. If you have visited Disney’s Animal Kingdom, they have a very similar idea on their rapids ride, where guests stand on a bridge with two buttons that allow you to control water that spurts out at people on the ride. These are much cooler! In the video here you can see water trickling like a waterfall out of their mouths, rather than spitting. 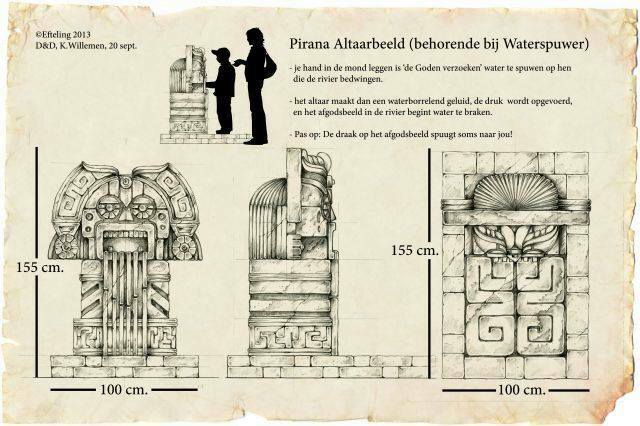 Here’s the instructions: You put your hand in the mouth of the statues to request water, then the water pressure is increased, and the idol in the river begins to vomit water…lovely! So maybe the idol vomits a lot, and spits if you’re lucky? Or unlucky, depending if you are on the ride or just a spectator 😉 Either way, we feel that Piraña needed an update and it’s looking pretty good. We keep praying that Spookslot is next on the list!